We are delighted to announce the release of our first recording project – Unclouded Day – recorded by the EKU University Singers under the direction of Dr. Richard Waters. Recorded and mastered by Dr. Shane Hoose, Assistant Professor of Music Industry and Recording Arts, the recording features pieces from two recording sessions in the loggia at First Christian Church in Richmond in 2017, as well as a recording session in the ballroom of Kent Wyatt Hall in 2016. 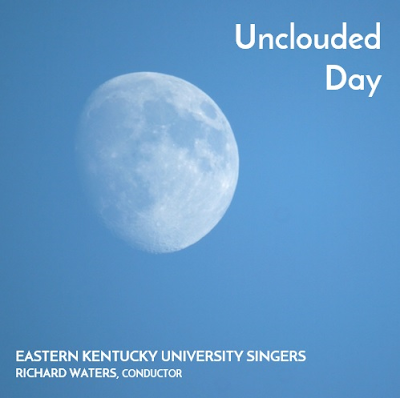 Compact discs are available for purchase in the EKU choral office, at all EKU choir concerts, and online at CD Baby. Digital downloads are available for purchase online at Amazon, CD Baby, and iTunes.